Since 2004, IGE has worked with the Chinese government and civil society partners to bring together key stakeholders from within and outside of China that would not otherwise meet, facilitating strategic and candid dialogue that leads to respect, reconciliation, and ultimately resolution of issues of critical importance related to religious freedom and ethnic and religious minorities. Amidst an increasingly tense and adverse political environment in China, especially for religious groups, IGE remains the only religious freedom NGO that maintains ongoing collaborative projects with Chinese government and civil society partners. 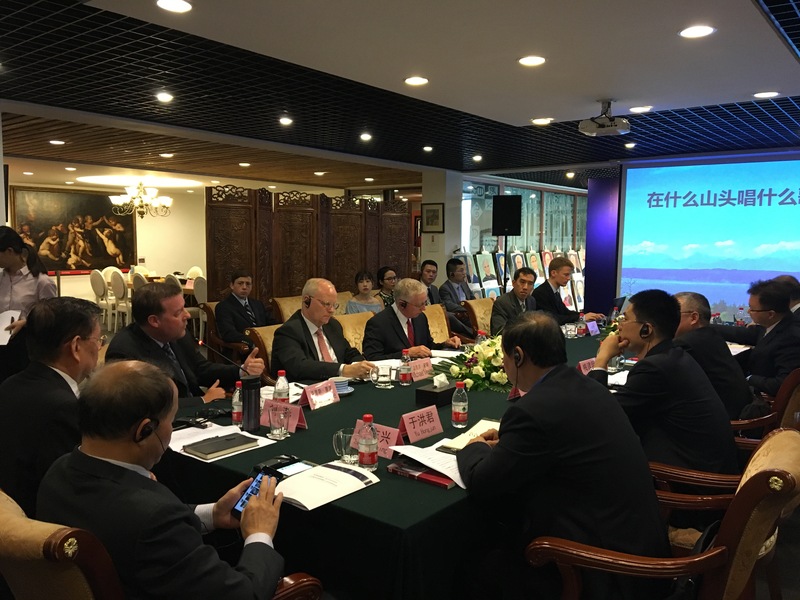 Recently, IGE conducted its fourth Sino-U.S. Counterterrorism Dialogue in Beijing. This unique platform convenes high-level government, military, and civil society leaders from China and the U.S. to engage in both candid and friendly dialogue over issues related to terrorism, religion, governance, America’s lessons learned, and China’s Muslim communities. IGE also co-sponsored the launch of a Tibet Governance Lab initiative in Washington, DC which convened the next generation of young Tibetan scholars and social activists that are actively engaged in on-the-ground work in Tibet. This was the first ever gathering of its kind and is essential to cultivating a network of the next generation of community leaders and changemakers from Tibet. IGE co-hosts a Track 1.5 dialogue on counterterrorism between U.S. and Chinese officials, scholars, and civil society leaders in Beijing. IGE delegation meets with Chinese officials and Uighur Muslim leaders in Xinjiang. IGE gathers Chinese and Tibetan scholars in the Basque Country, Spain, to explore global models of self-rule and autonomy. Since 2008, IGE has been working on Tibetan issues surrounding freedom of faith, governance, and reconciliation. IGE Executive Director James Chen shares about a recent trip to the Basque Country of Spain where IGE co-sponsored a workshop which convened Tibetan scholars and community leaders, Chinese academics, and international scholars. The workshop explored governance models in multiethnic states and gave Tibetans a global platform where they had a full and equal seat at the table alongside Chinese and global delegates. IGE remains the only religious freedom NGO that maintains ongoing mutual projects with the Chinese government and civil society partners and continues to collaborate with them to provide unique platforms for friendly, open dialogue over issues related to religion, governance, and religious minorities. For more videos, see the IGE facebook page.